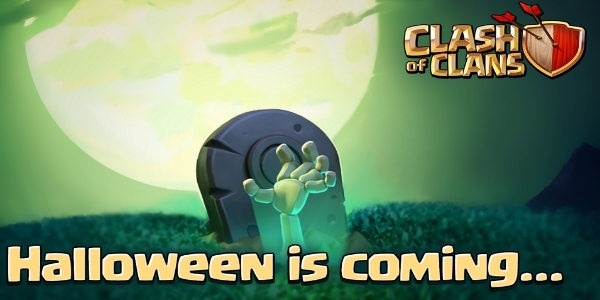 Clash of CLans halloween update. 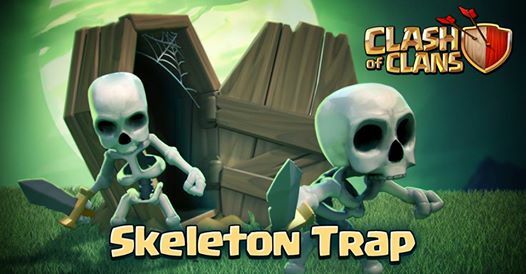 ✔ Ambush and distract your enemies with a small group of Skeleton troops! They might be short-lived, but will certainly get some attention. ✔ Skeleton Traps can be set to target either ground troops or air troops. Find the right mix of trap modes for your village! ✔ Skeleton Traps become available at Town Hall 8 and can be upgraded to deploy more skeletons at once. ✔ 1-gem Spell Factory boost special is back! ✔ Know what Clan you’re searching for? Search via hashtag to get the exact result you need. 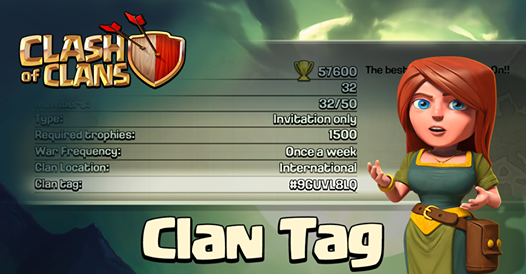 ✔ Clan descriptions can now be much longer! ✔ Get at least 20% more Gold, Elixir and Dark Elixir from Clan Wars, win or lose! ✔ Player profile now shows the highest unlocked level of a player’s troops, heroes and spells! Supercell announced a new update in October 2014. It’s called the Halloween update or the Halloween event. It will feature a Halloween theme to the village obstacles and spells. You will also get the famous 1 gem boost for your spell factory, there will also be a special obstacle called the “Halloween Headstone” which will give you 50.000 elixir. We have a list with all updates. 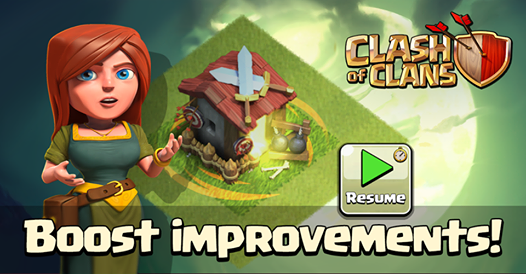 Boost improvement Clash of Clans. If there is a maintenance break you will get an automatic boost pause for your spells, barracks and heroes. After the break you can tap on the “resume” button and your boost will continue. This way you don’t loose any boost time during breaks. Clan settings Clash of Clans. There will be new clan settings and there is a advanced clan search feature. 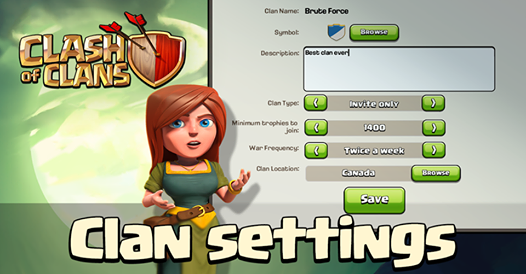 You can search for clan location (by country or international), war frequency, member count and clan points . Clan tag Clash of Clans. Each clan will have a unique clan tag, there where several problems finding some clans due to duplicate names. Especially with the popular clans. With the unique clan tag this problem is gone. 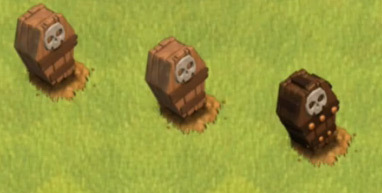 Skeleton trap Clash of Clans. There will be a new trap named the skeleton trap. It will cost 6.000 gold and the description is: “Ambush and distract unsuspecting foes with a surprise skirmish of short-lived, but sneaky skeleton troops! Skeleton Traps can be configured to pursue either ground or air troops. The skeleton trap will have 3 levels, the higher the more skeletons it can spawn. Some troops are lowered in training time and costs. 1 Gem boost for the spell factory. In a few videos there are shown villages with 4 mortars. A lot of Youtubers are talking about this but it is not officially announced. 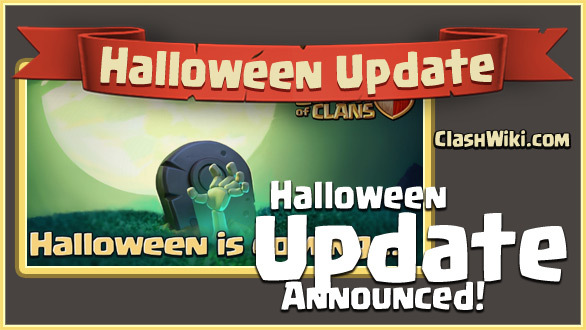 Town Hall 9 was introduced in the 2012 Halloween update so it is possible.